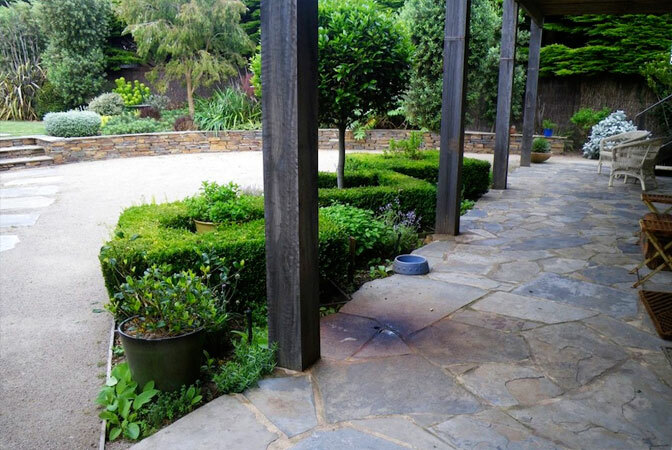 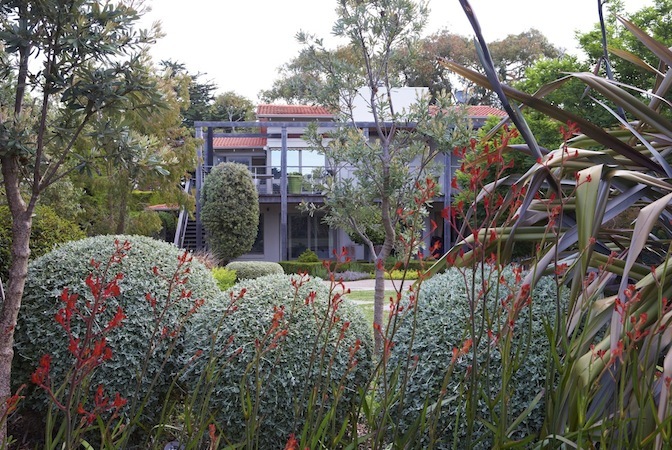 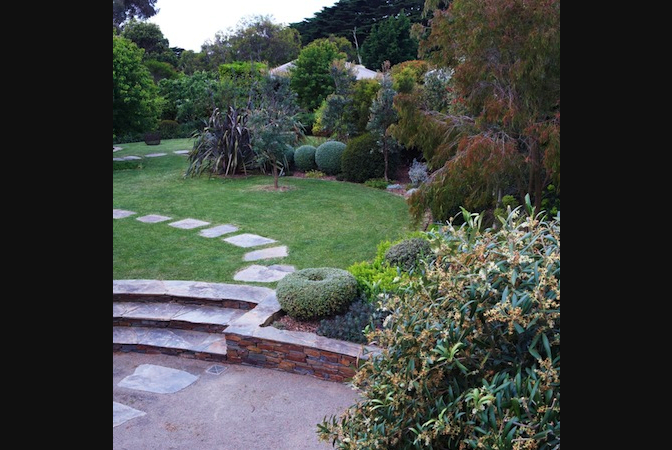 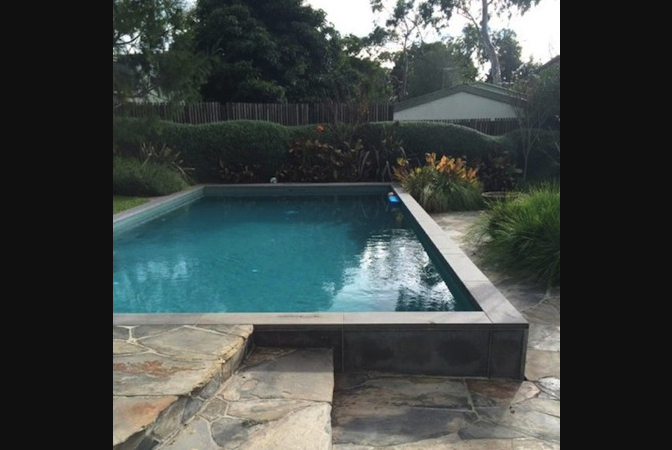 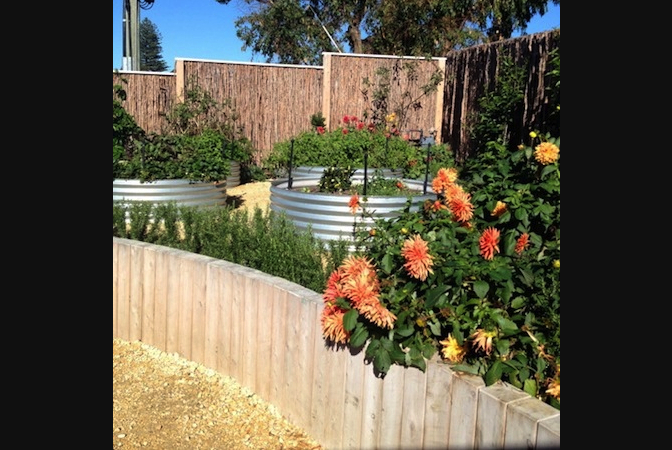 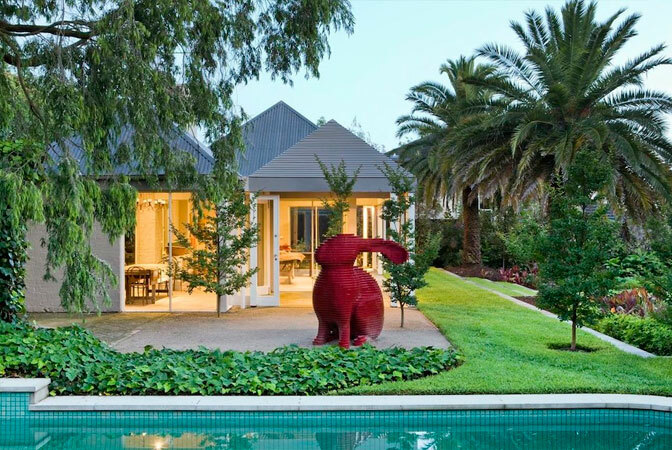 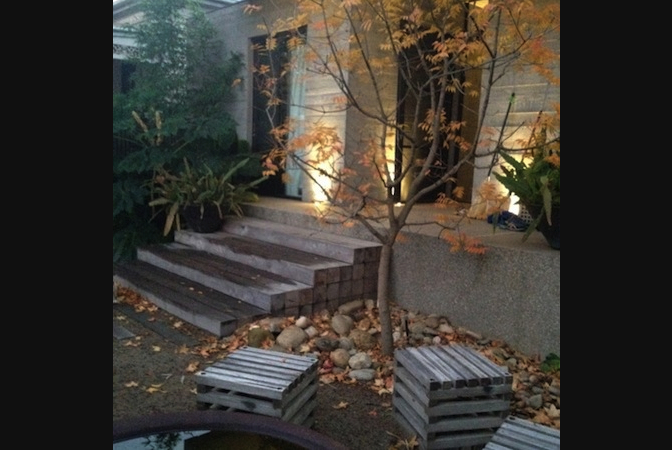 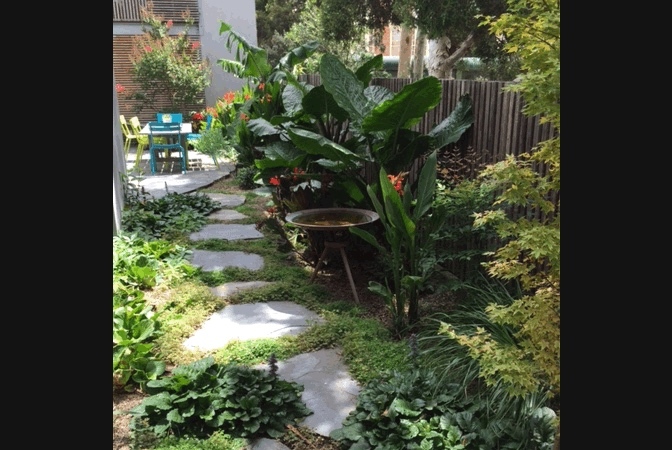 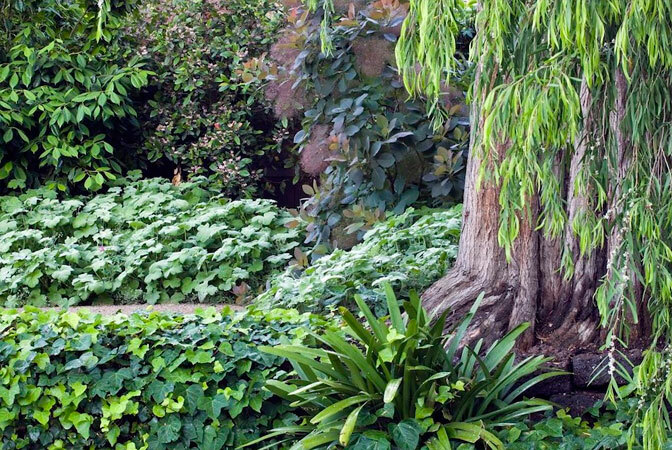 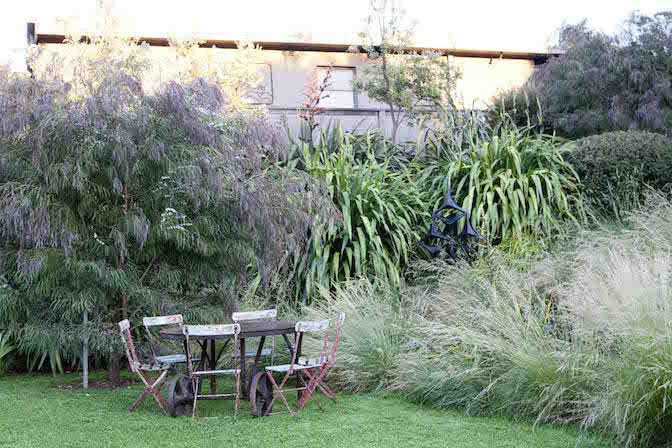 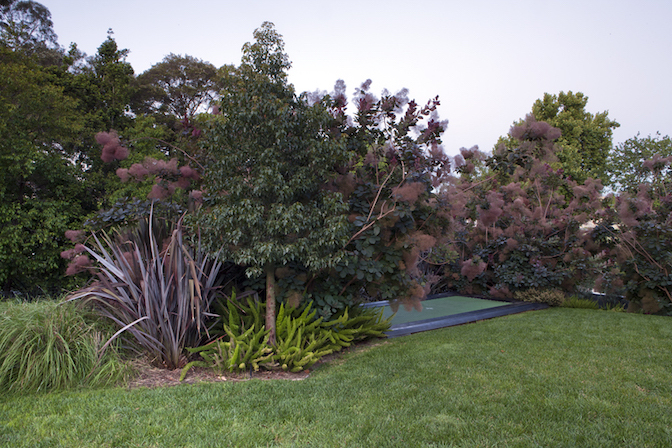 Merriwee Garden, Toorak. 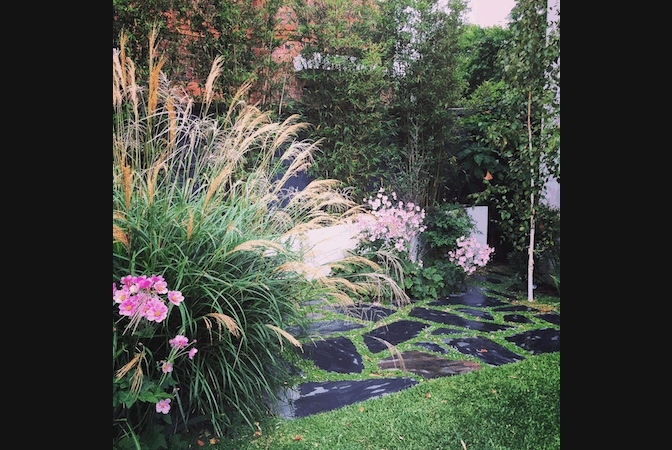 Fiona Brockhoff Design. 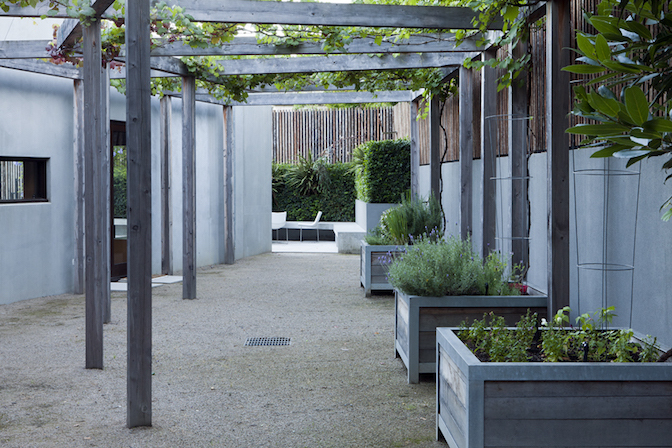 Every garden I design is influenced by the building’s architecture, the site characteristics and the surrounding landscape. 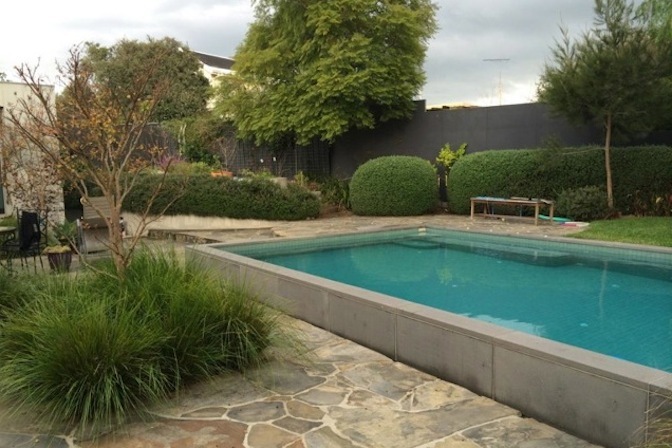 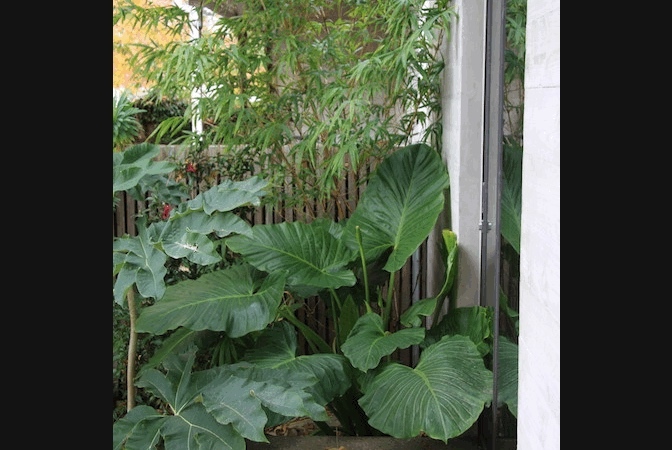 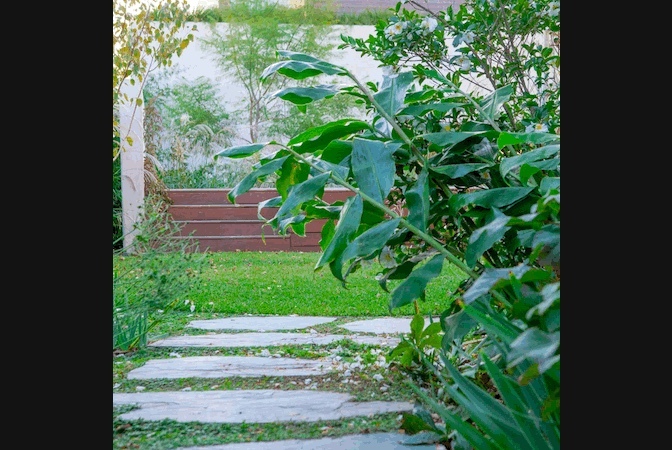 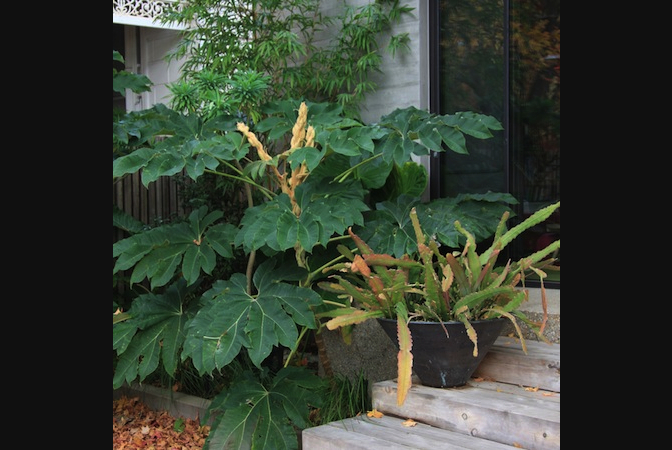 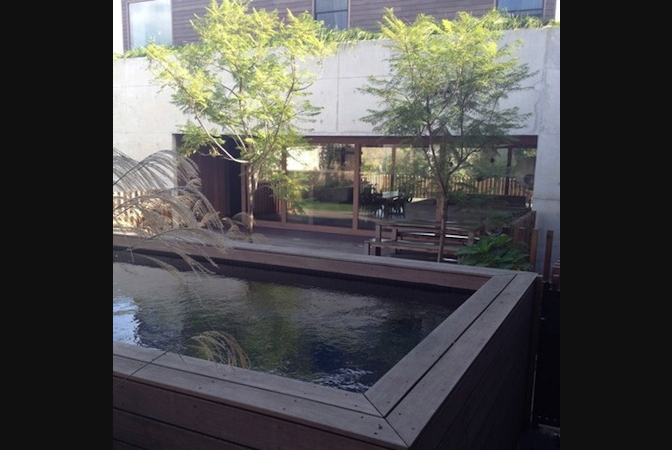 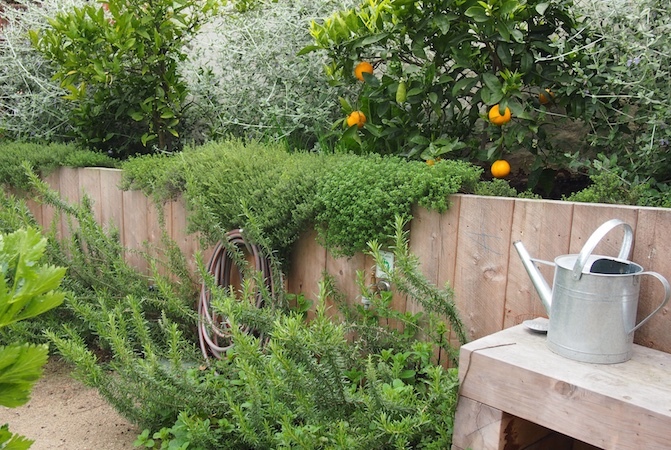 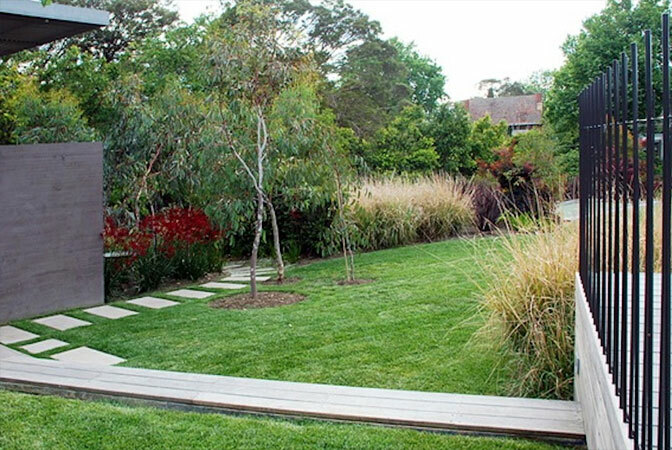 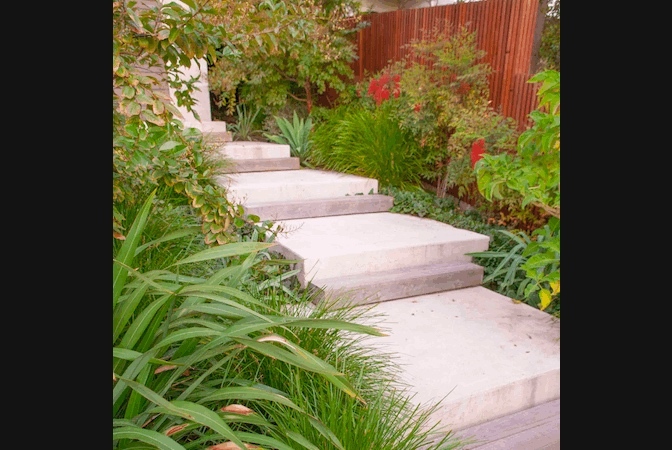 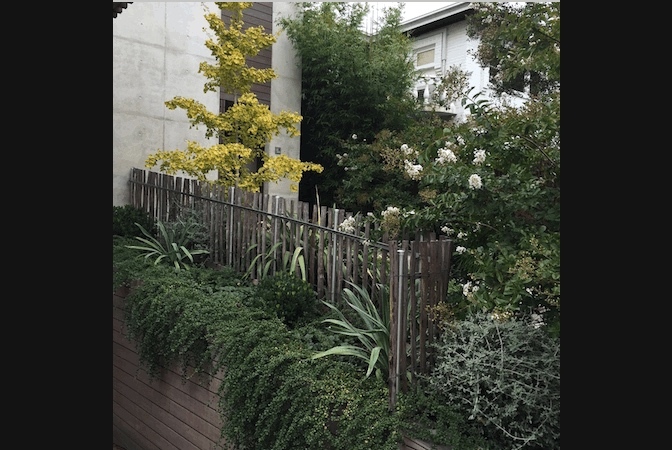 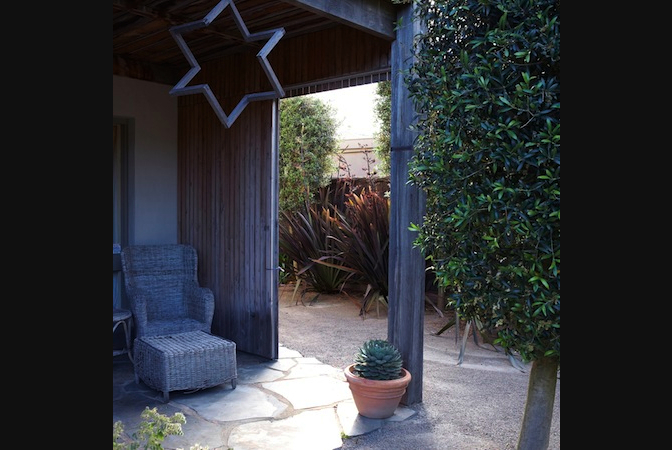 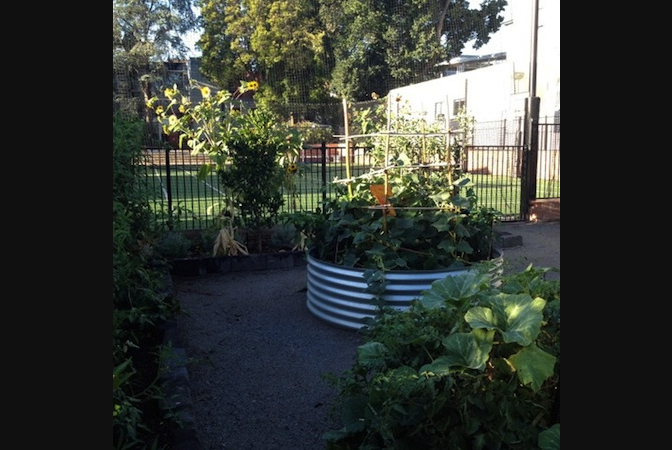 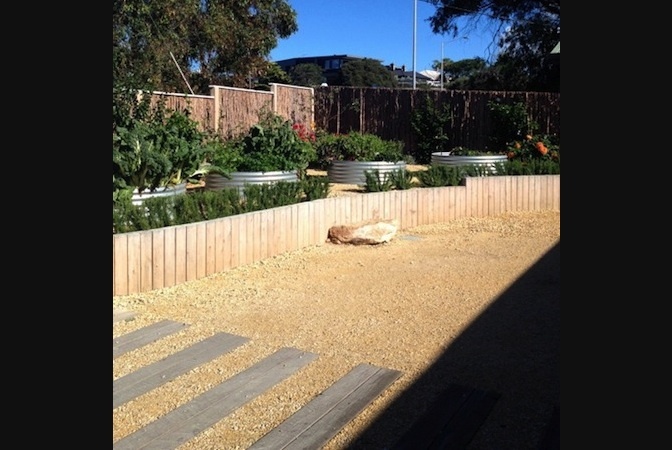 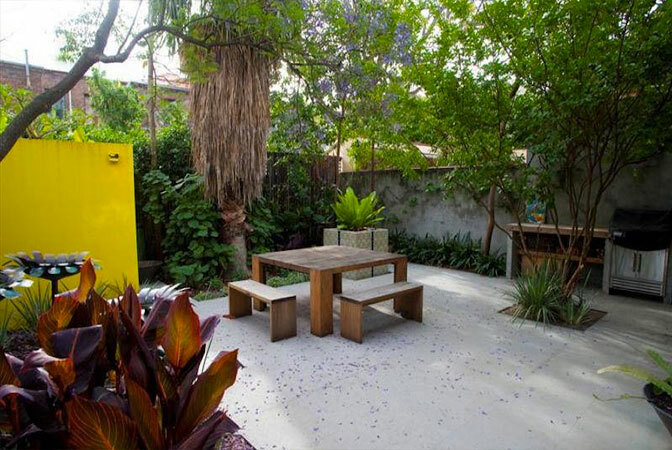 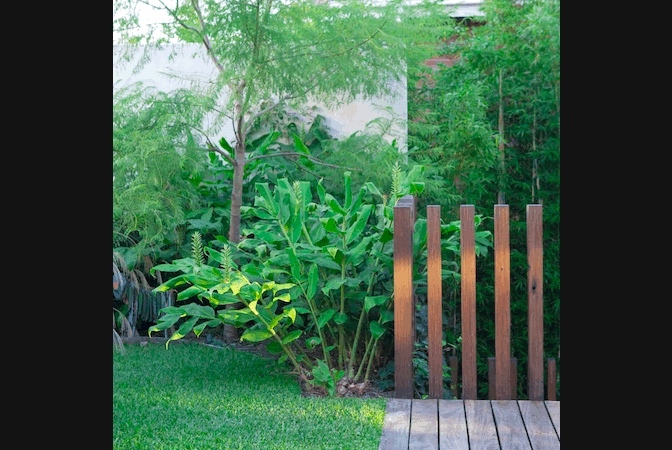 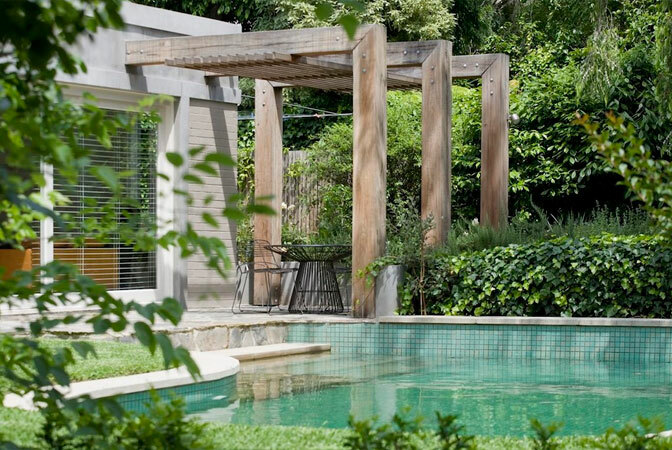 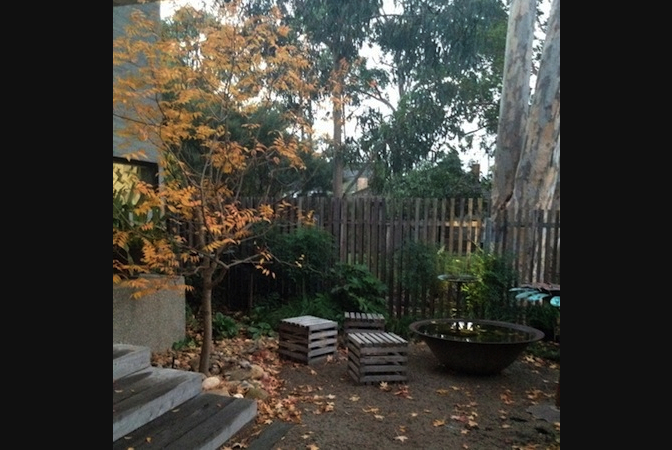 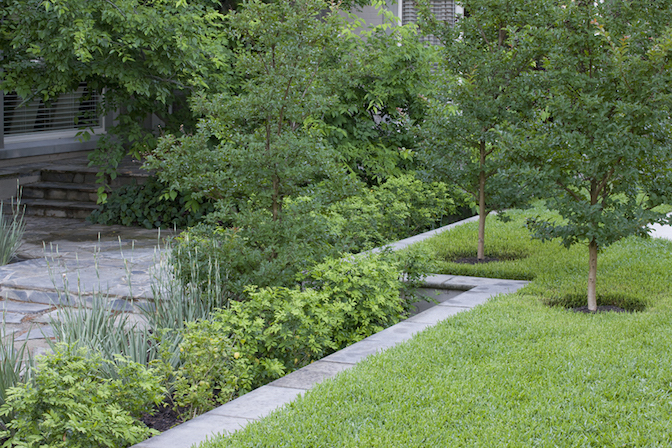 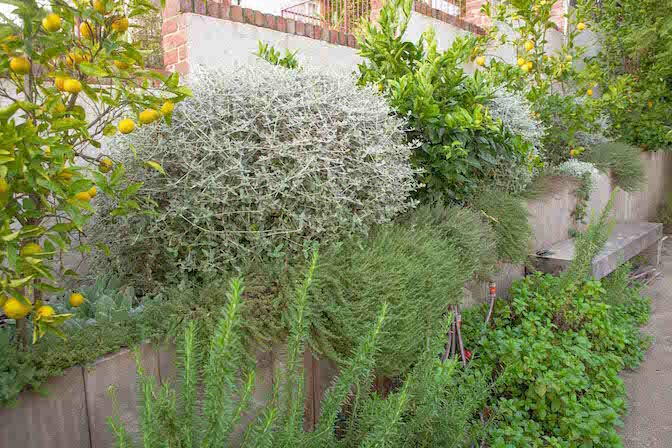 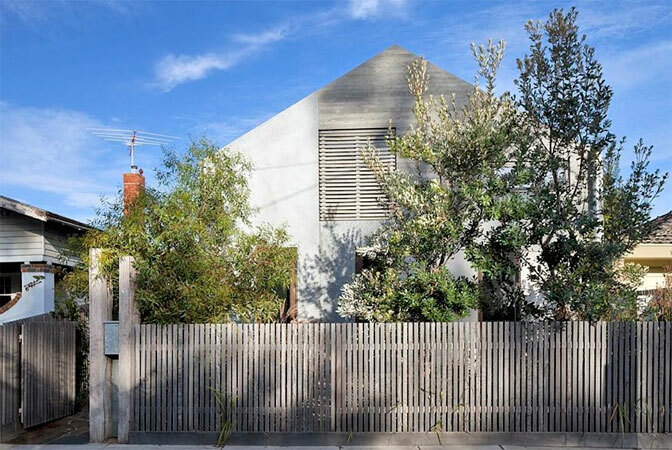 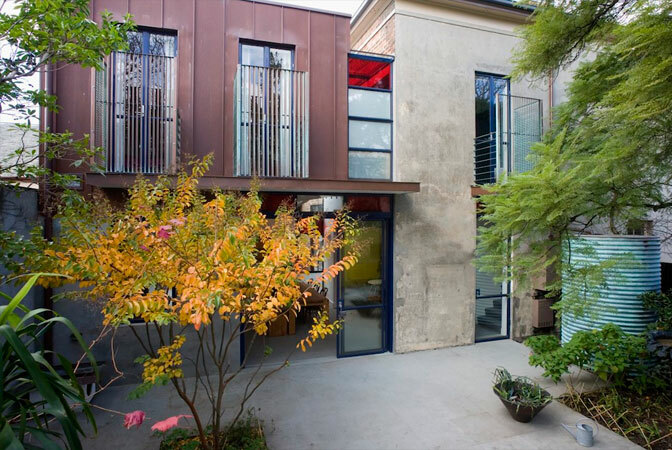 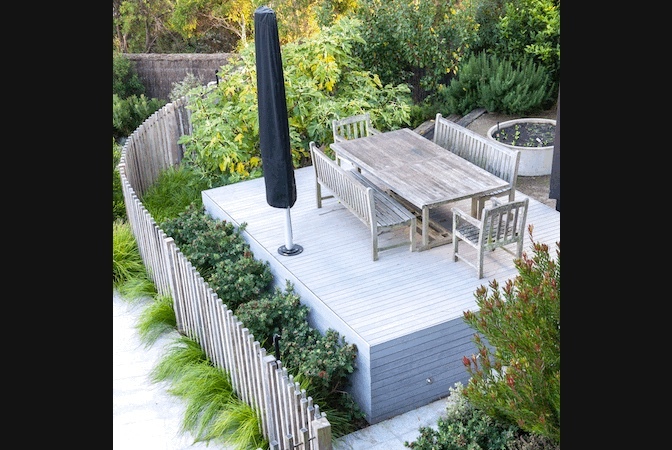 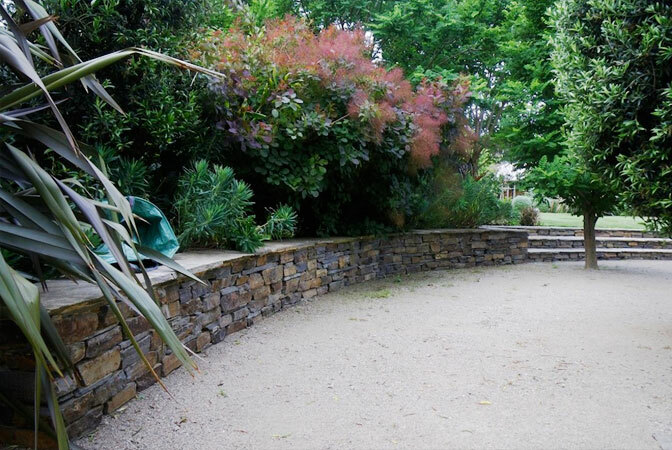 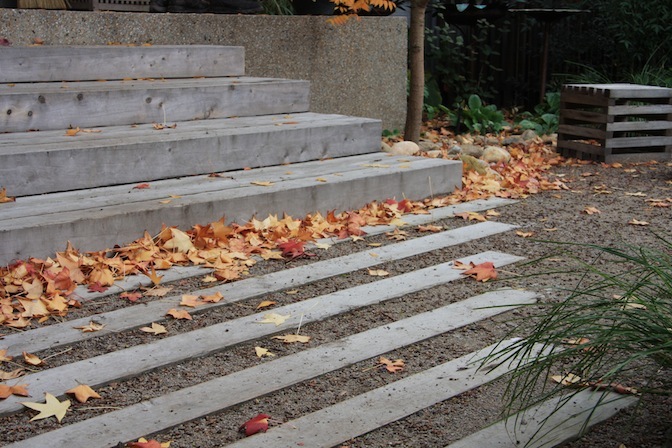 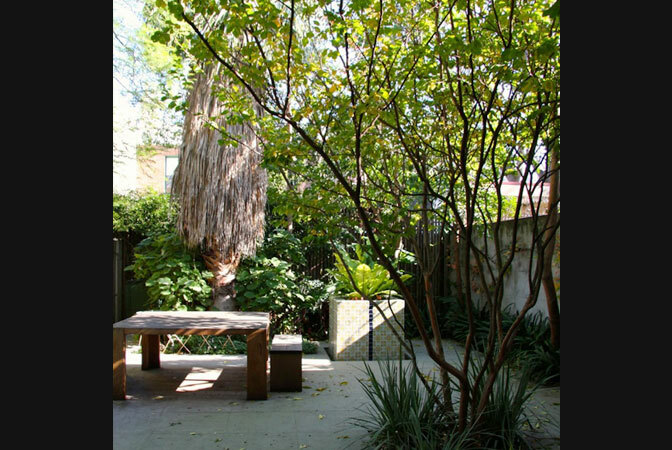 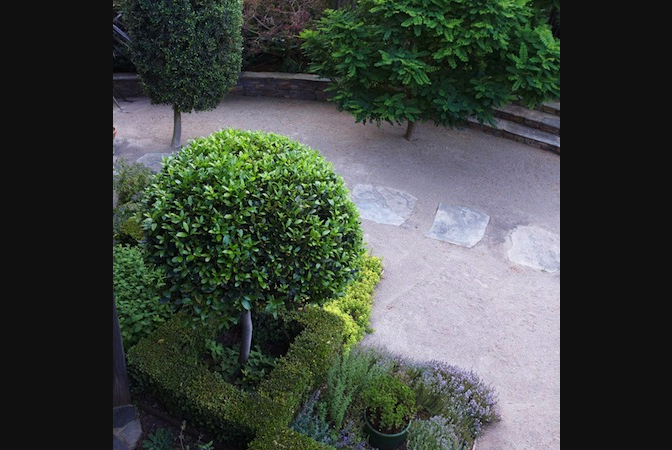 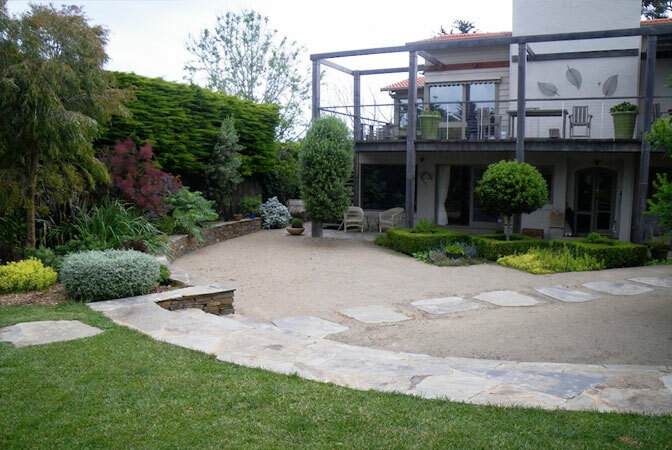 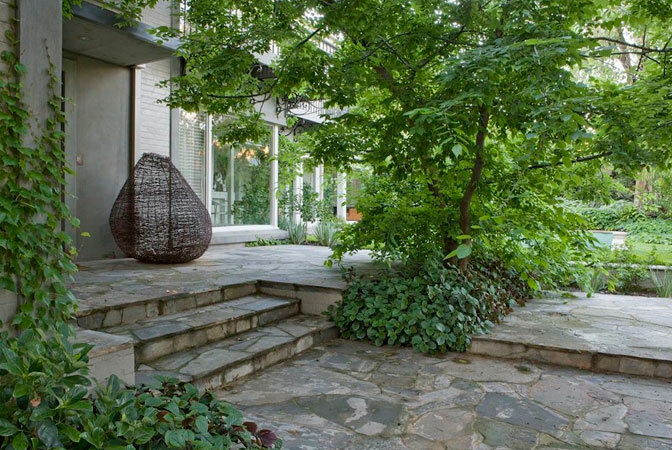 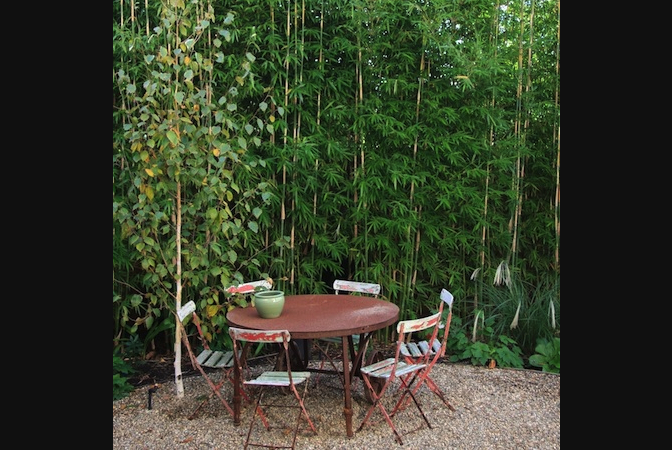 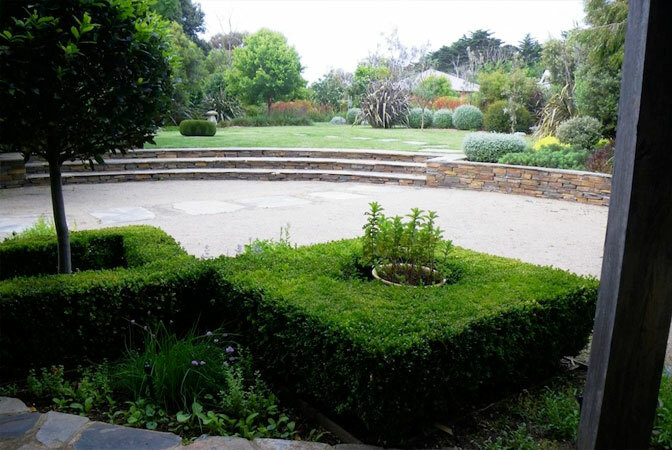 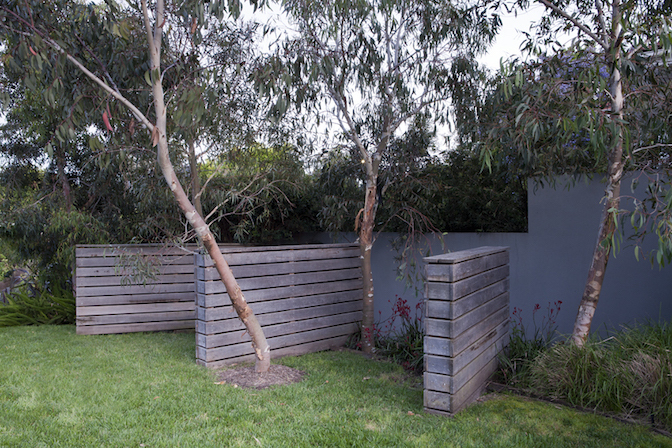 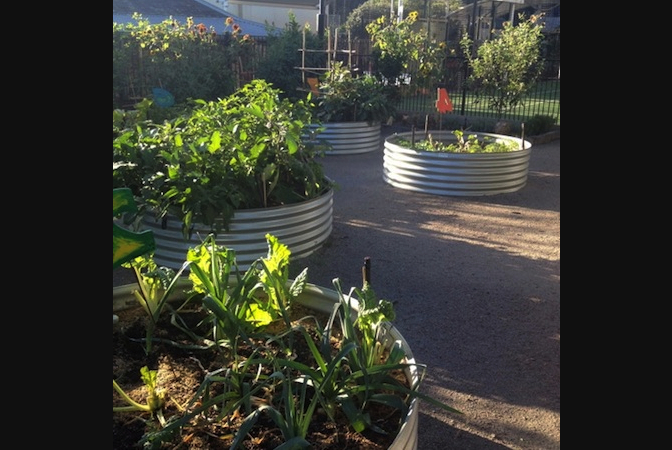 Typically urban gardens require screening out unwanted views and creating private garden spaces. 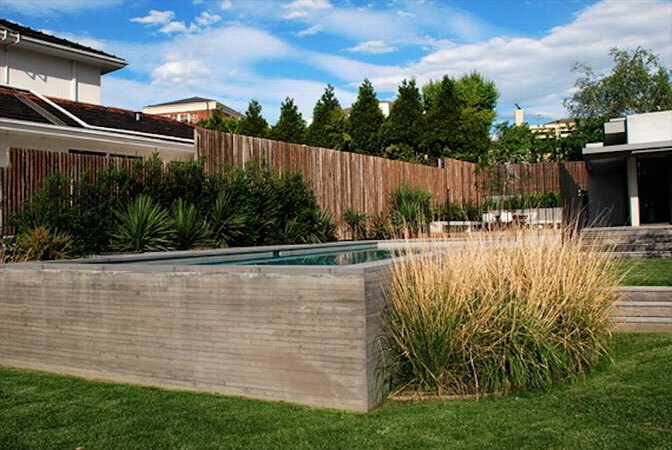 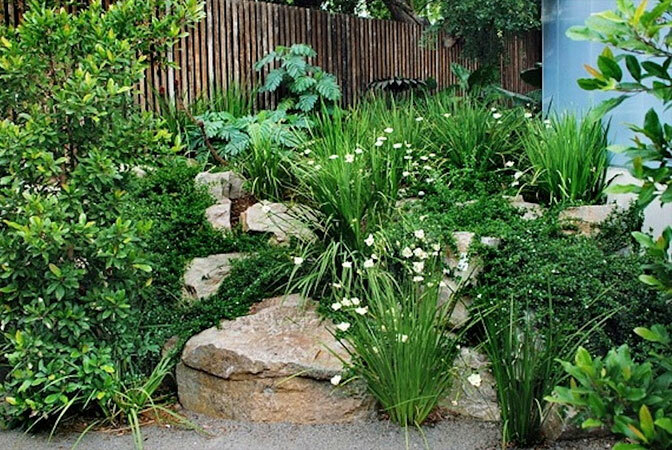 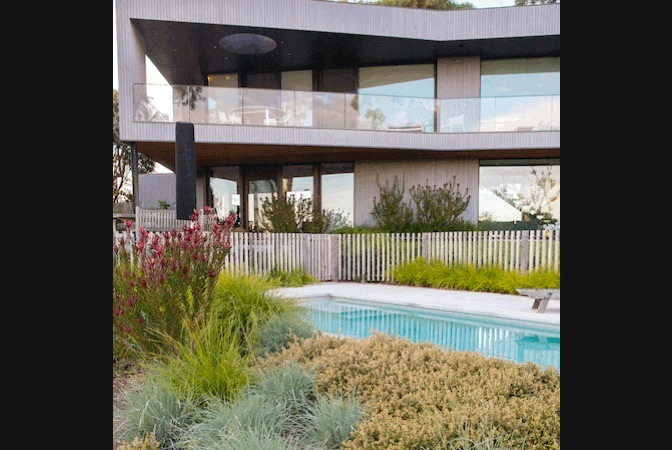 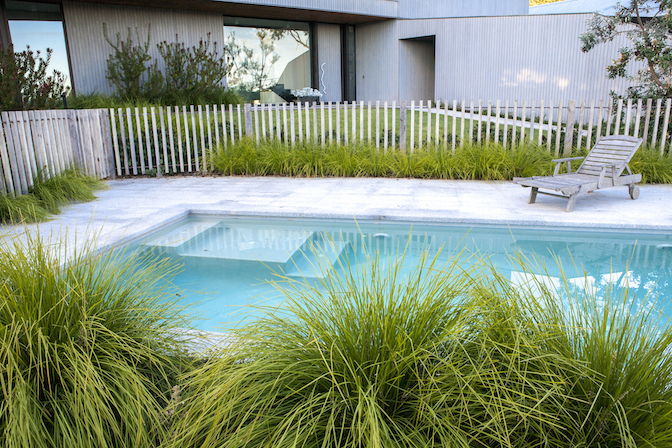 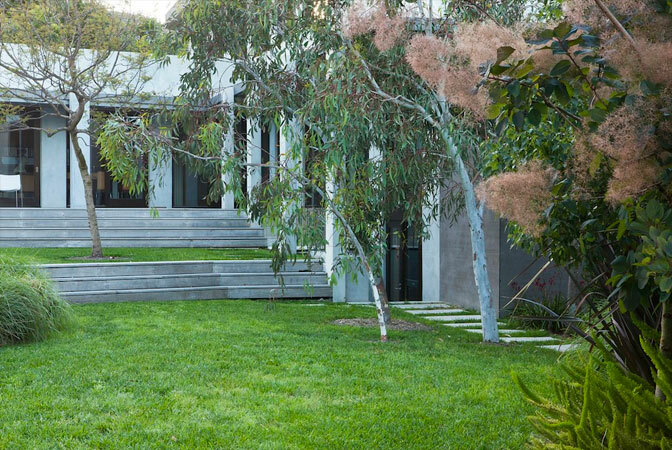 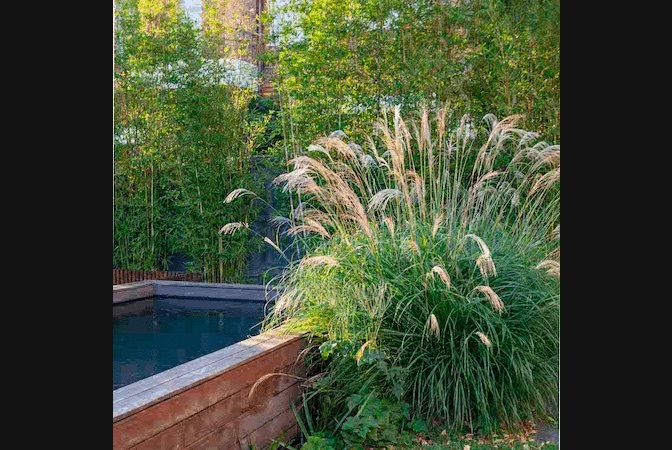 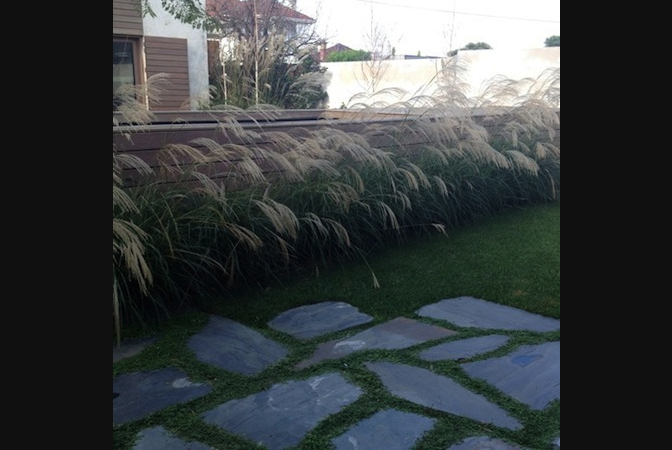 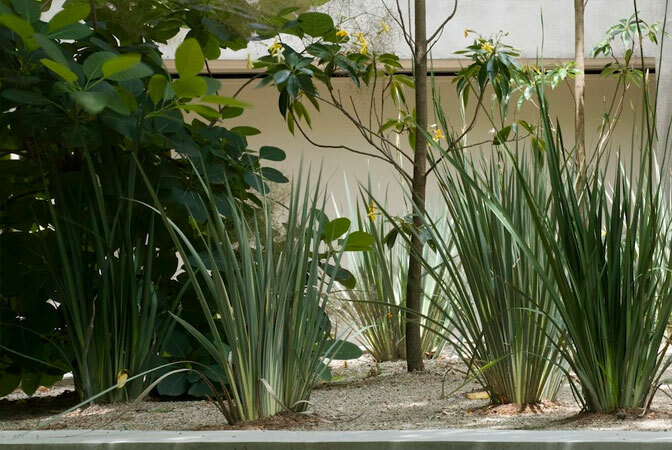 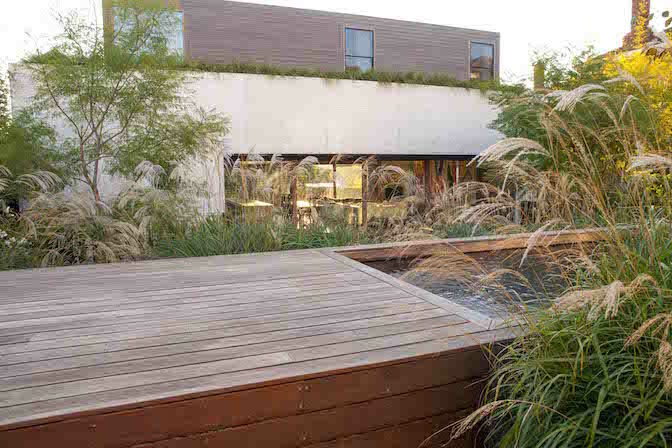 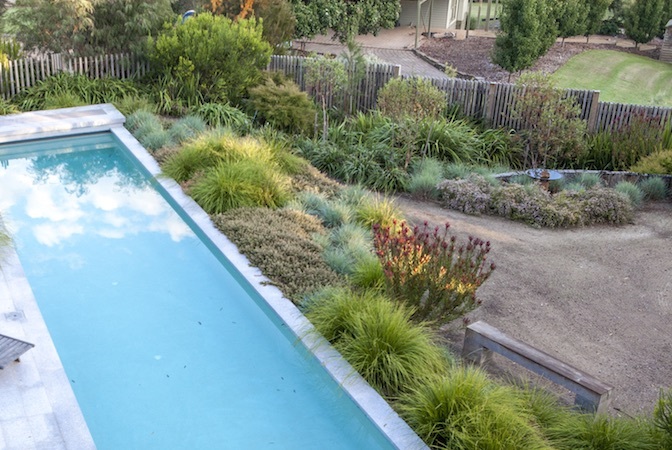 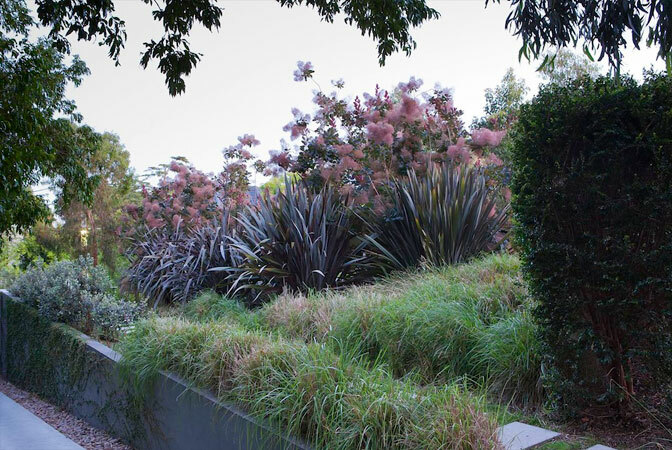 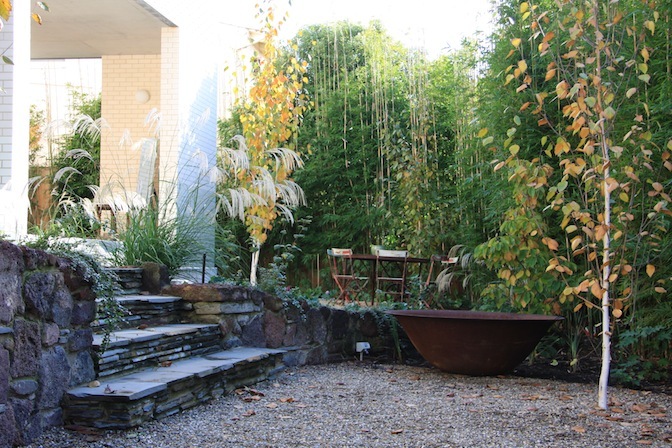 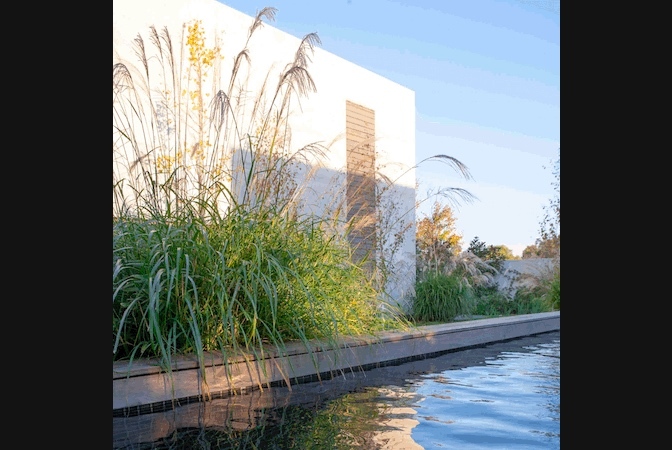 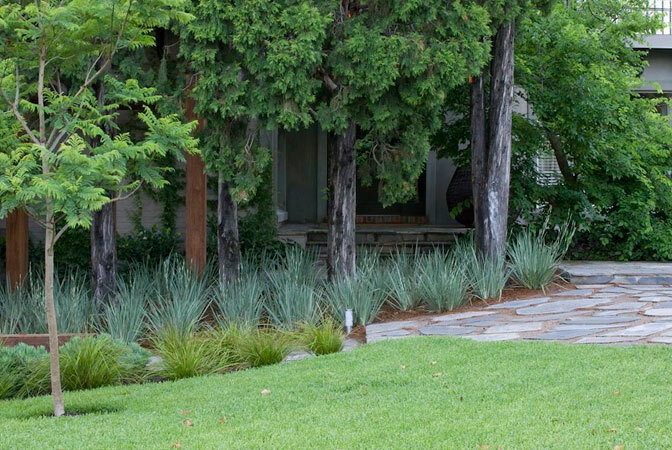 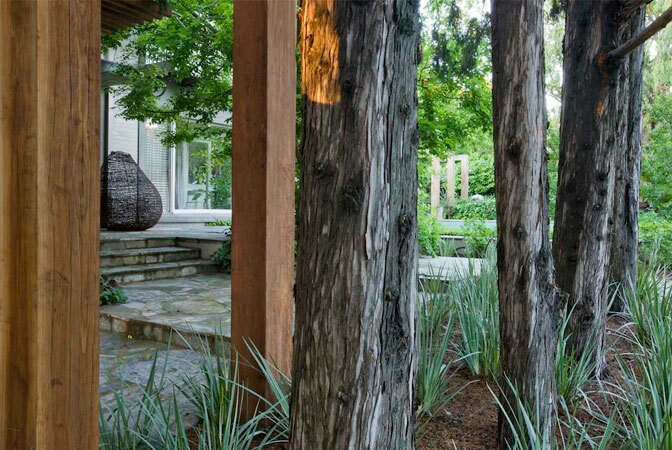 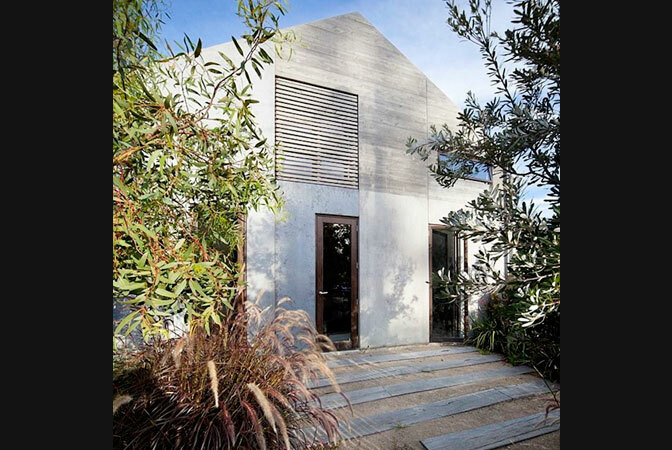 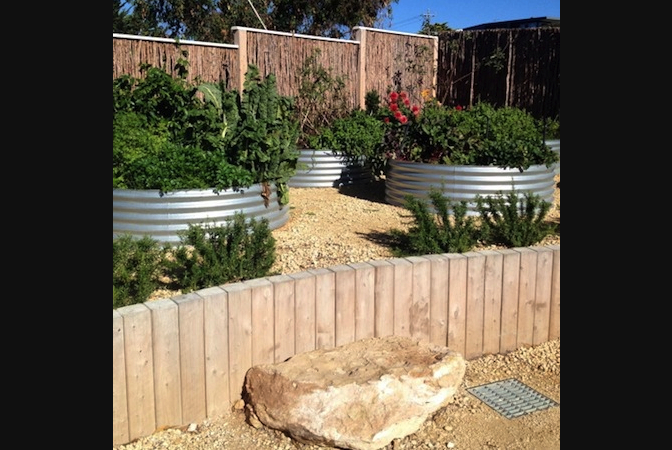 Therefore, the planting and materials palette relates more strongly to the architecture and microclimates of the garden than to the surrounding landscape. 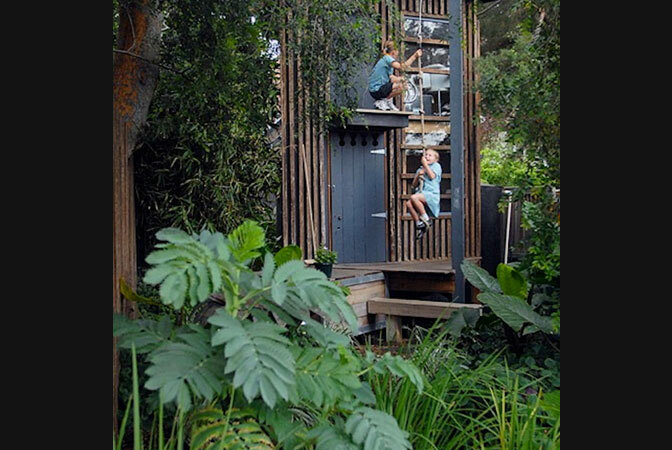 However, reducing energy inputs during construction and maintenance is always a consideration and thus where practical, local or recycled materials are used. 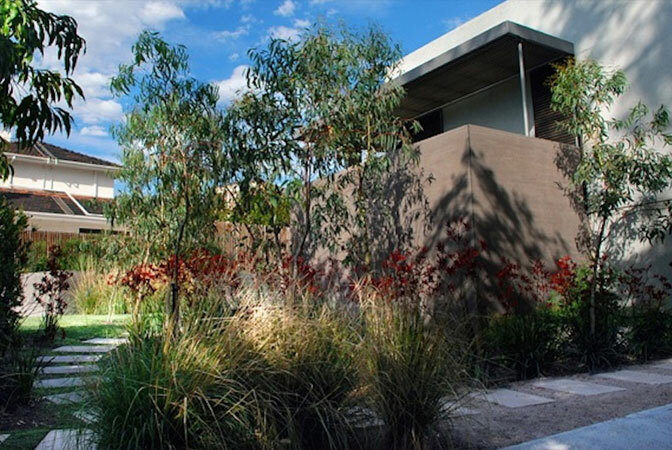 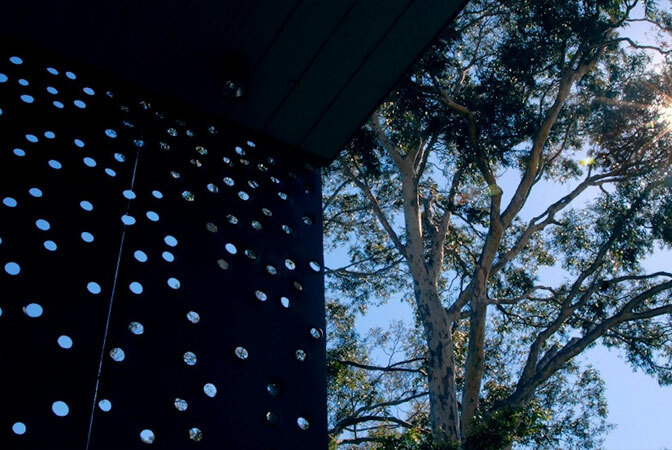 Each design is unique and sits in enduring harmony within the site and landscape that has inspired it. 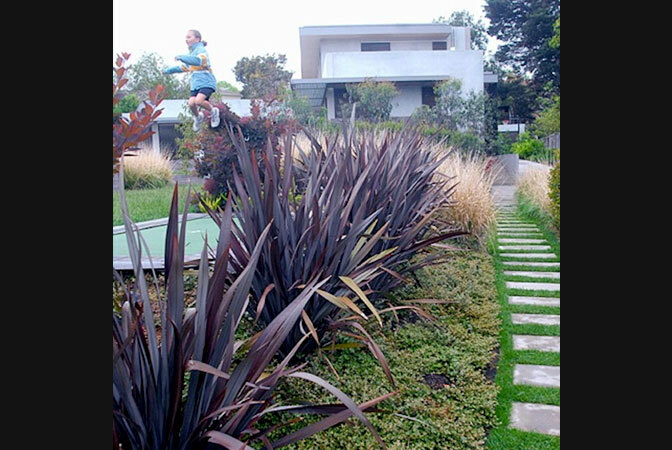 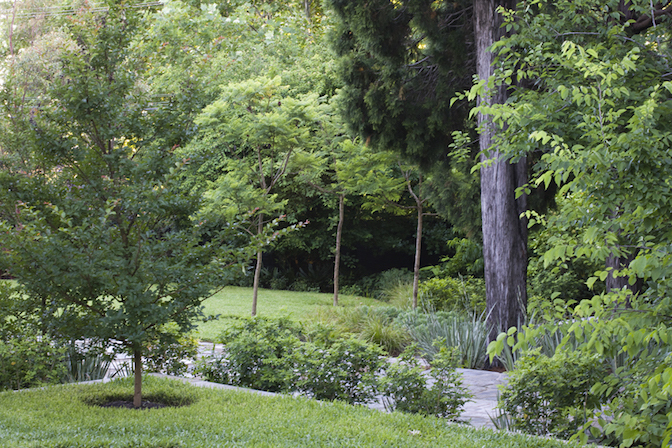 Gardens are places to be enjoyed by people. 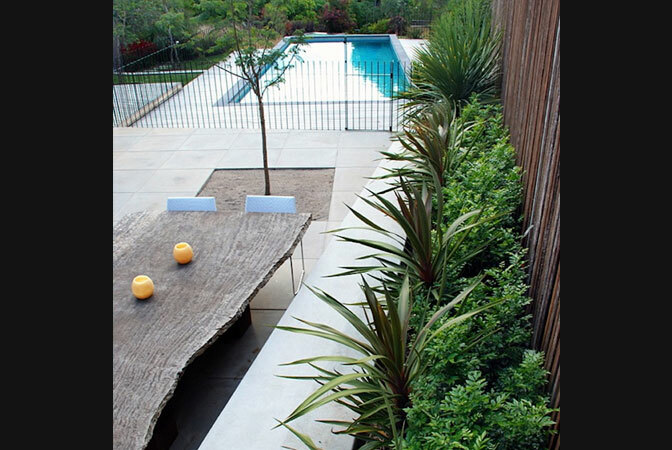 They need to fulfil the clients brief as well as be beautiful. 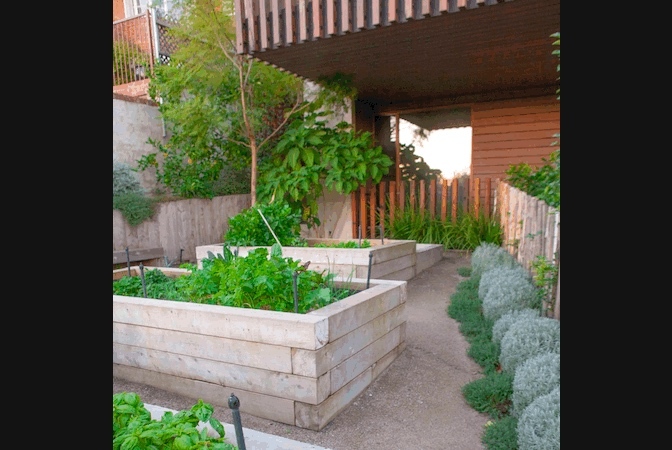 This is equally applicable to the inclusion of decks, patios, pools and engaging spaces for children as it is to the incorporation of vegetable gardens, clothes lines, sheds, compost bins, water tanks and grey water systems. 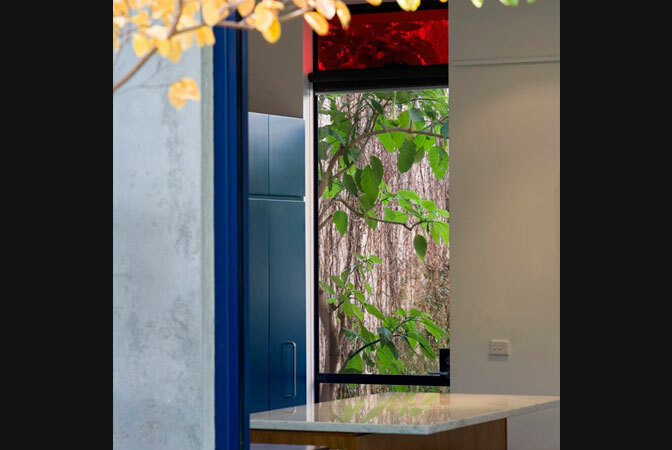 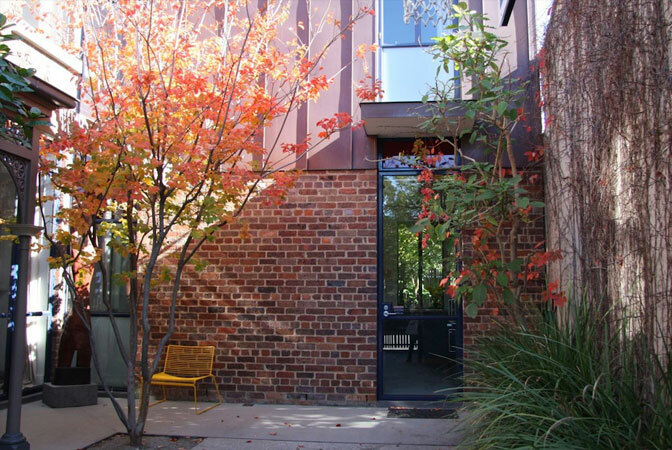 My objective is to bring together all the functional elements in a beautiful and cohesive design. 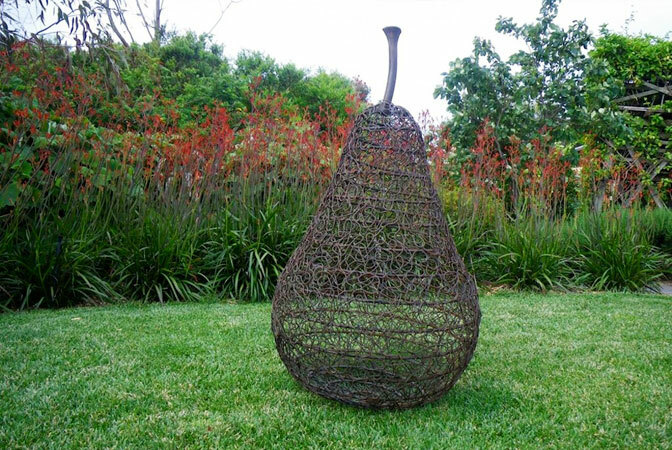 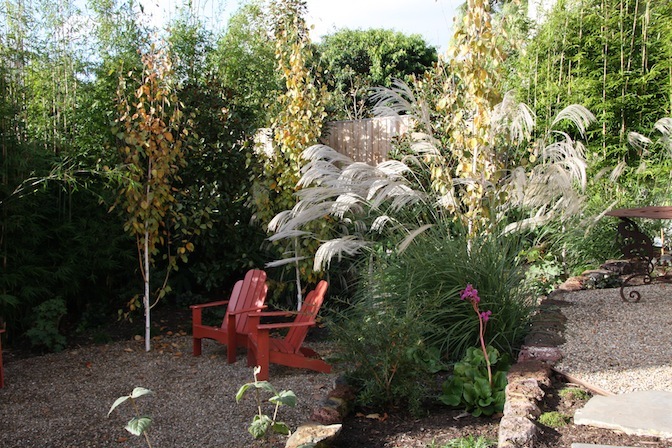 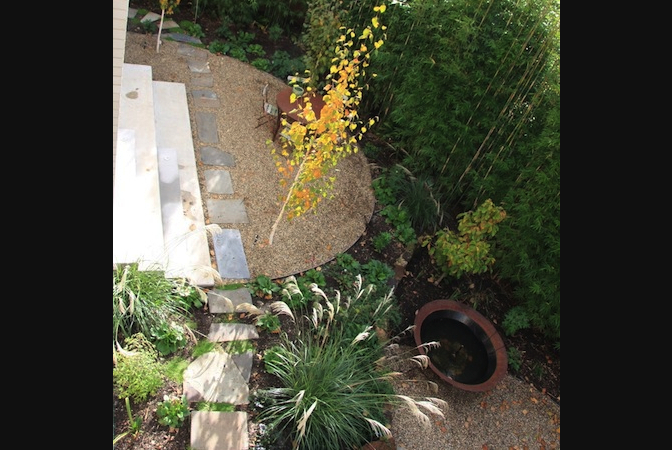 Planting design should be both beautiful and practical and used to create the atmosphere of the garden. 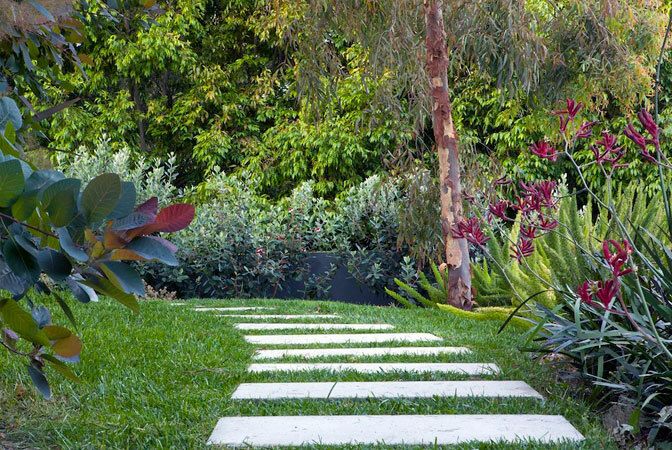 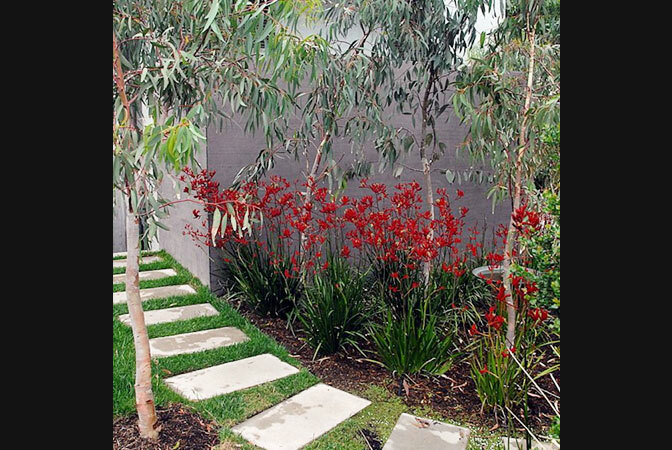 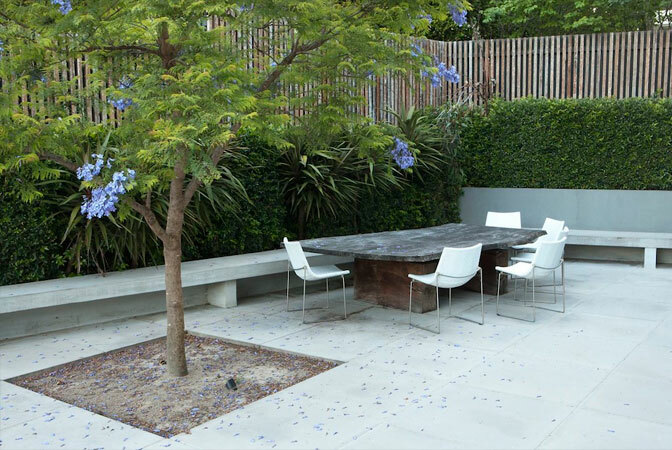 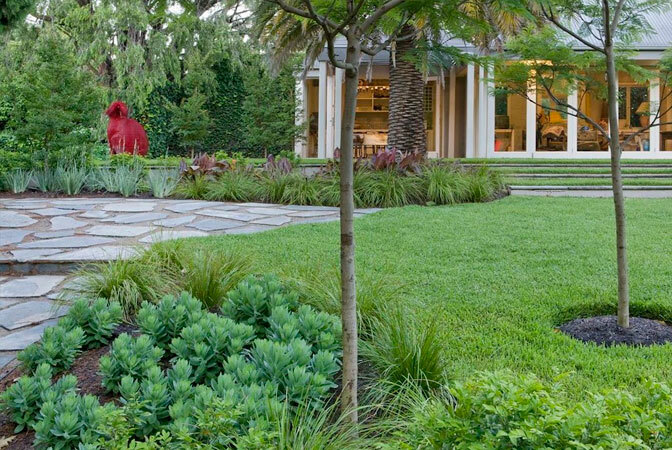 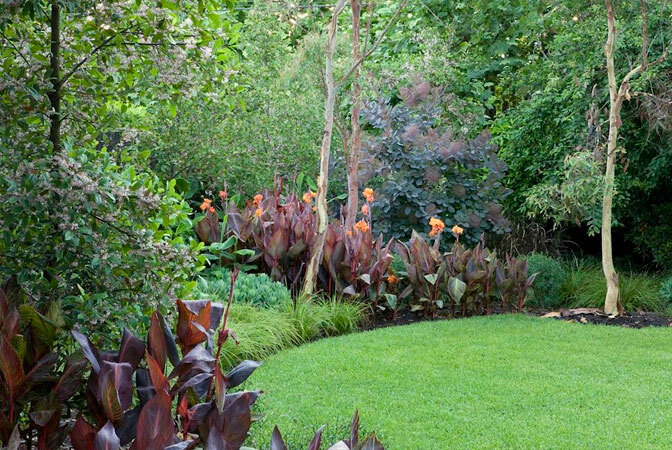 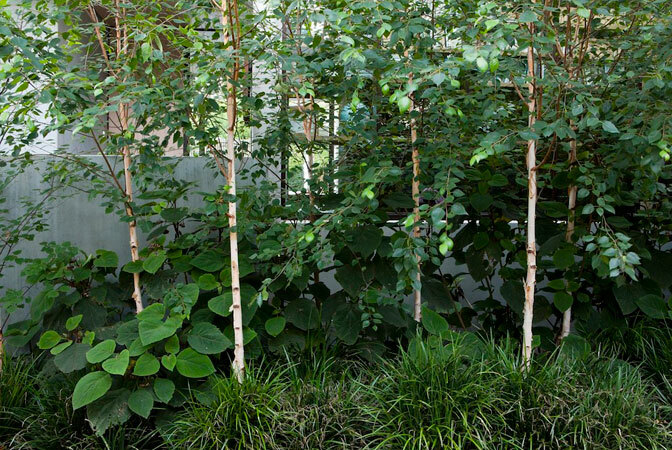 Its strength lies in the constrained planting palette and the emphasis on contrasting plant forms and foliage to provide year-round interest. 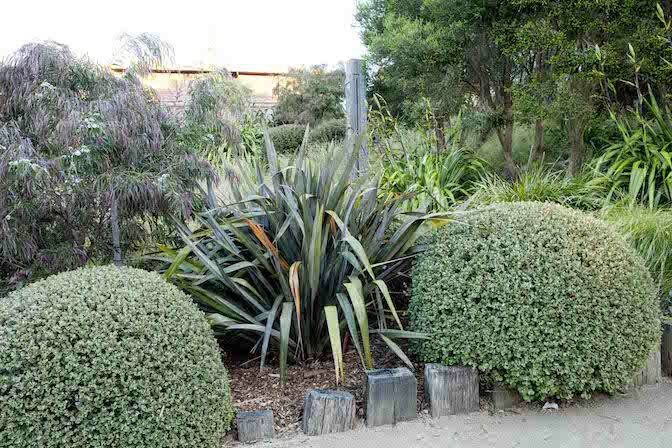 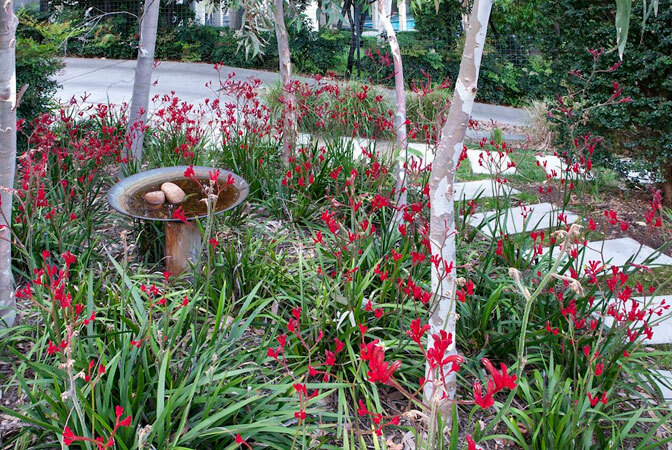 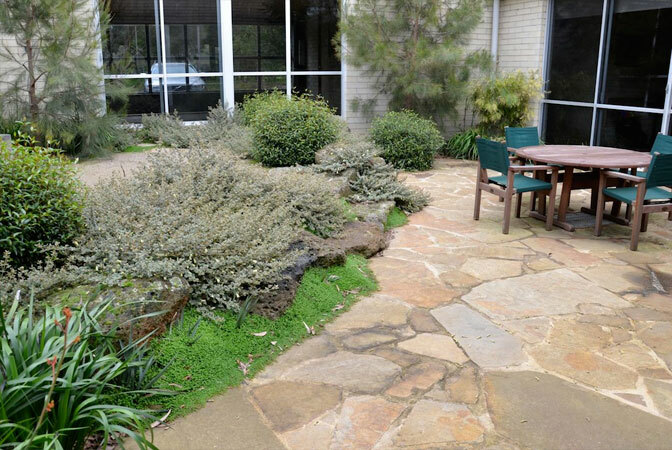 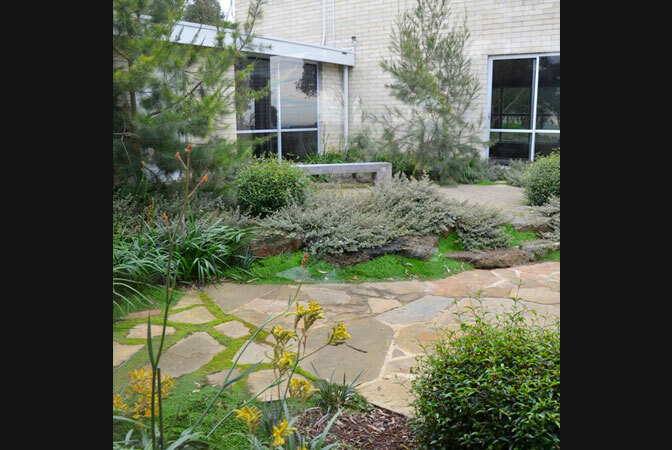 Only plants that will thrive in the situation are selected, whether they are exotic or Australian natives. 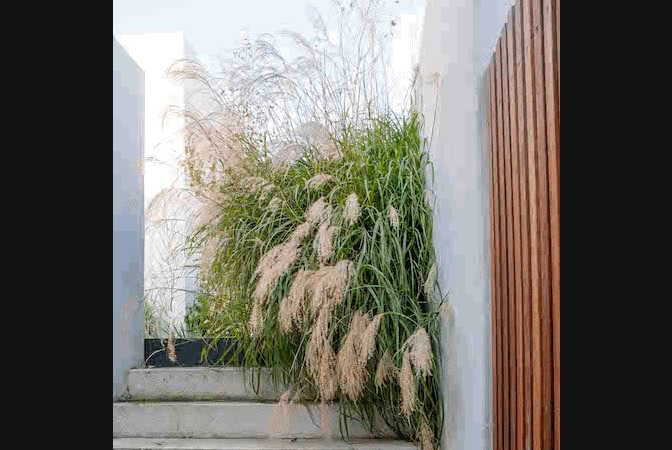 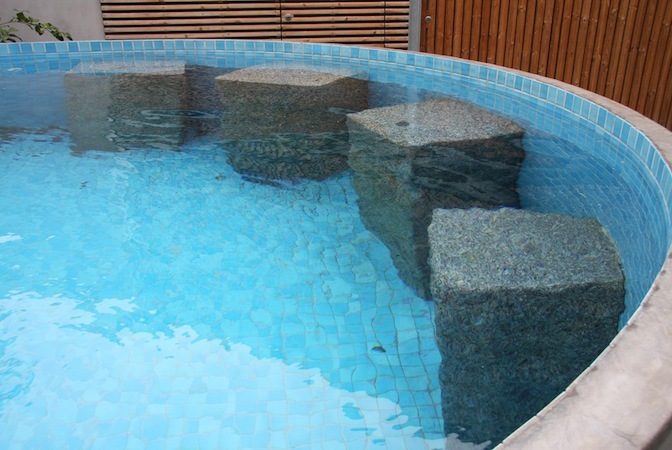 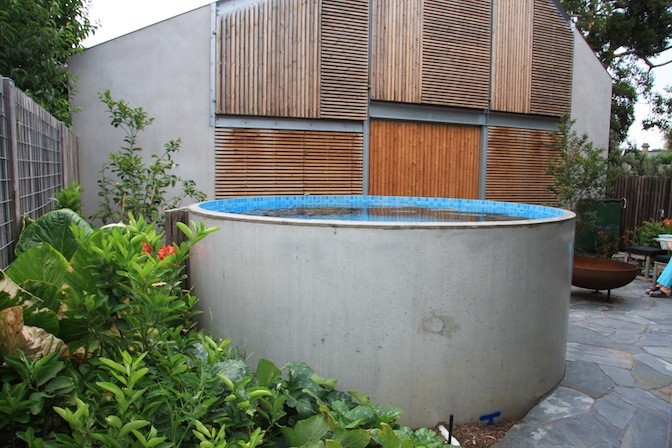 Consideration is also given to using plants to moderate the effect of wind and sun within the garden and house and to maximising natural water resources available to plants. 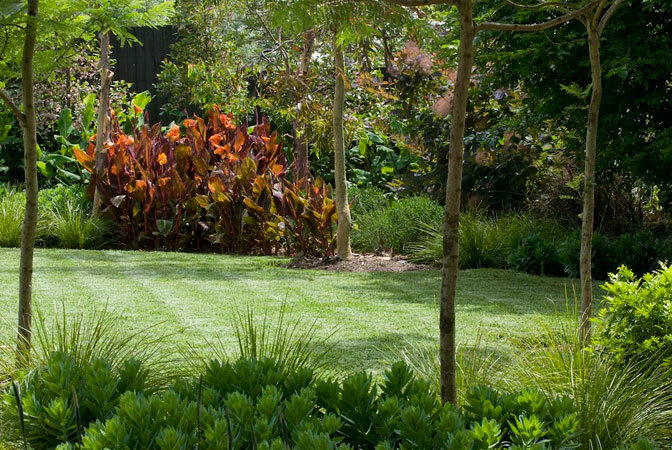 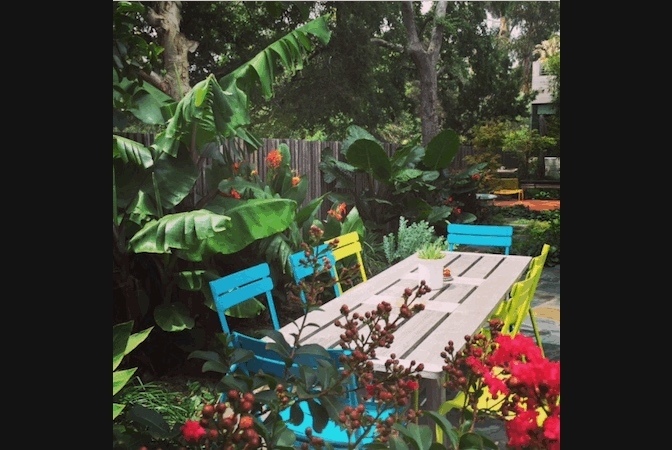 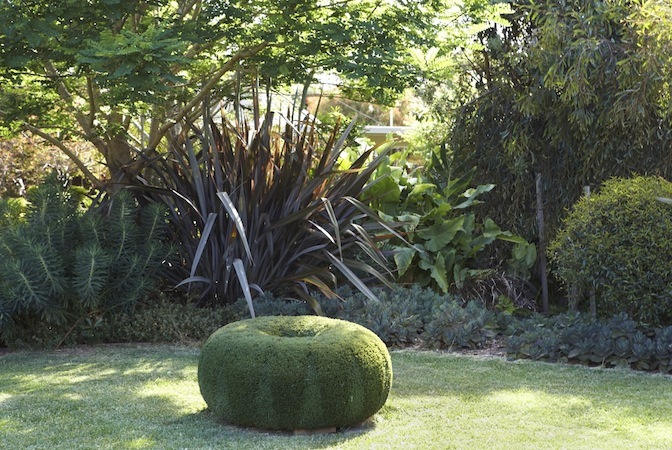 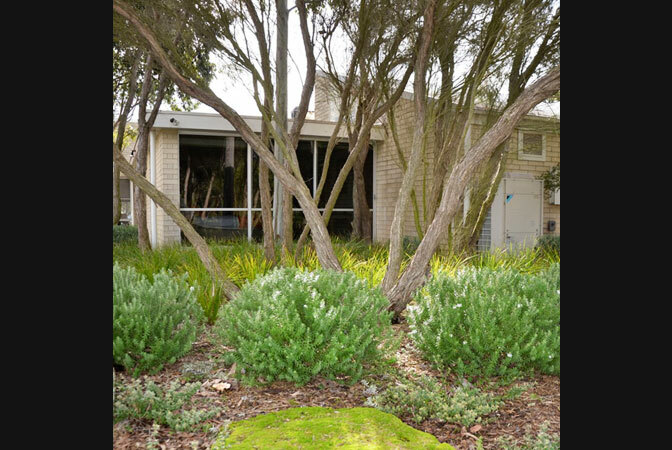 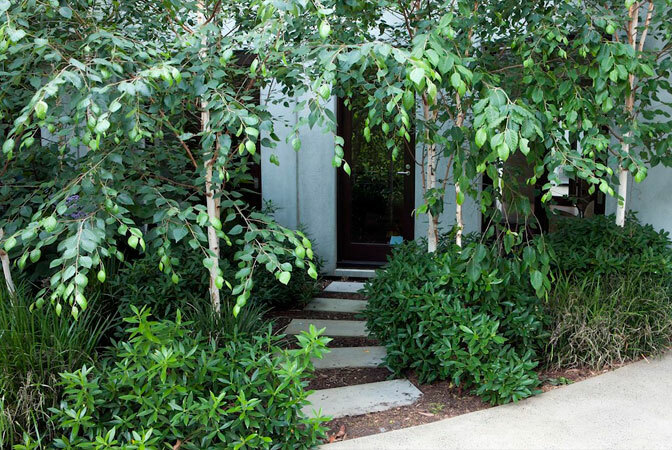 Low maintenance and sustainability are achieved through careful plant selection.